Fresh apples are one of my favorite parts of fall, and I’m lucky to live in a place where many different types of apples grow really well. Apples might not seem like an exploding product line, but over 130 new varietals have been introduced over the past 5-6 years. 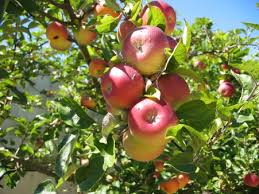 One standout new apple is the Riverbelle, which has a snappy crispness and is more sweet than tart. Try them if you can find them near you! I have yet to try these. On my list!